A must-have accessory for any Rolling Stones or Rock and Roll fan! 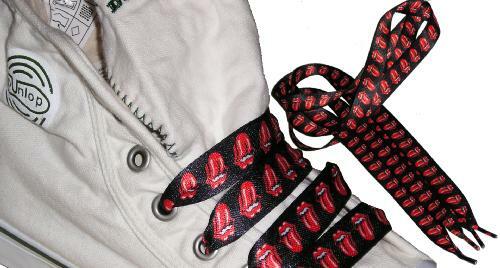 A pair of fantastic Rolling Stones iconic Lick Logo shoelaces! Just what you need to keep your shoes on. Lace up my shoes, and Start Me Up! Now you too can be a twinkle toes! ROLLING STONES SHOELACES - Officially licensed Rolling Stones merchandise 2 x 42" approximate long shoelaces. 100% polyester.